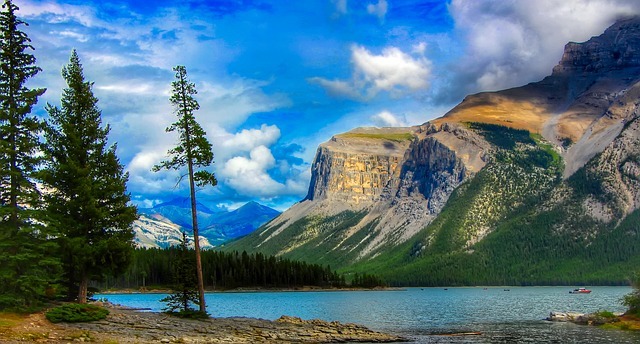 Travel through some of the most spectacular scenery in Canada on this fully escorted journey from the majestic Canadian Rockies to the stunning Pacific Coast. 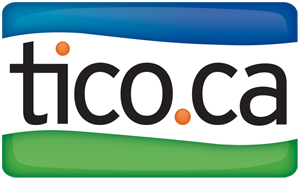 Total Advantage Travel presents this unforgettable opportunity, to experience one of Canada's most incredible regions. Stand in awe of this gorgeous mountain range, surrounded by lakes, rivers and an ocean. Journey through three national parks. Explore two of Canada's most-loved cities, full of history and culture. 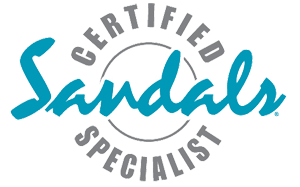 And thanks to our partnership with Anderson Vacations, you can do it all in the most comfortable, enriching ways possible! These are guaranteed tour dates. Dates & itinerary may be fully customized, allowing you to plan the Great Western Canadian Adventure of your dreams! Welcome to Calgary and the province of Alberta. Meet your driver and begin making your way to the town of Banff and Canada's first National Park. Check into your downtown hotel, then enjoy a get acquainted dinner this evening with your travel companions. Explore Banff on a sightseeing tour with stops at Cascade Gardens and beautiful Bow Falls, then ride the gondola up Sulphur Mountain for an unparallel view of the mountains and valley below. Also included is time at Cave & Basin National Historic Site, which tells the story of the hot springs that drew visitors to Banff in the first place. This morning travel along the famous Bow Valley Parkway, where wildlife sightings are common so keep your camera close by. 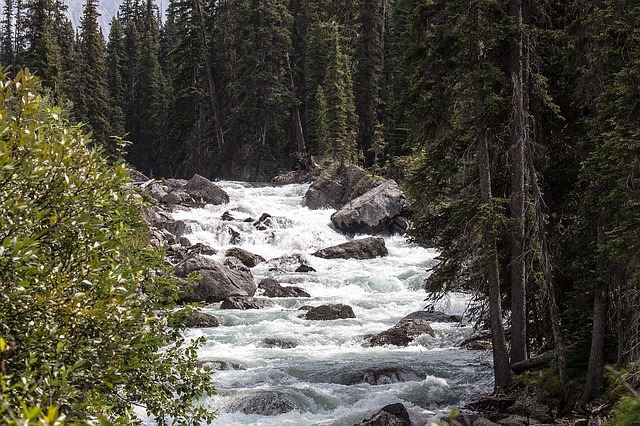 Visit Johnston Canyon for an easy walk through a deep rugged canyon littered with waterfalls then explore the western part of the mountain chain and cross the Continental Divide into Yoho National Park. Visit Takakkaw Falls and Emerald Lake, filled with glacial run-off water that makes it glisten with the blue-green hue of an emerald. Your destination today is Lake Louise, jewel of the Rockies surrounded by glistening glaciers and towering mountain peaks. Travelling through the heart of the Canadian Rockies, drive along the famous Icefields Parkway which has been voted one of the most spectacular drives in the world. Follow the winding road that boasts a unique and irreplaceable landscape rich in history and natural beauty second to none. At the summit of Bow Pass see the beautiful baby blue waters of Peyto Lake and the rugged beauty of the Mistaya River Valley below. Arrive at the famous Columbia Icefields whose waters feed three oceans. Visit the Interpretive Centre then have the experience of a lifetime – a ride on the Ice Explorer for a close up look at the Athabasca Glacier. Visit the powerful and breathtaking Athabasca Falls before arriving to the charming town of Jasper and your home for the next two nights. Start the day with a ride up Whistler Mountain on the Jasper Tram and enjoy breakfast at the top. A full day of sightseeing follows including a gentle walk down Maligne Canyon to see how the water has carved spectacular crevices out of the mountain. 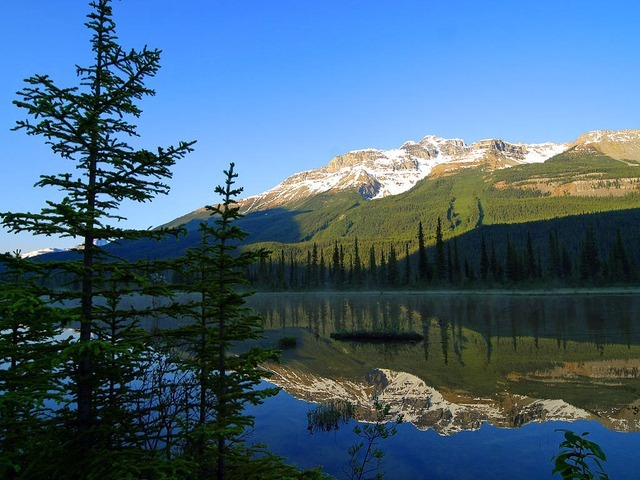 A short drive takes you to Maligne Lake, the largest natural lake in the Canadian Rocky Mountains. This evening enjoy a float trip down the Athabasca River. After breakfast the journey into British Columbia begins. A stop is made at Mount Robson, the highest peak in the Canadian Rockies. An unforgettable highlight today is a River Safari ride through Grizzly Bear Valley, right in the heart of the world’s only inland temperate rainforest. Observe bears and other wildlife in their natural environment, without the constraints of gates and cages, from the safety of a boat mid river, presenting the optimum opportunity for the perfect snapshot. 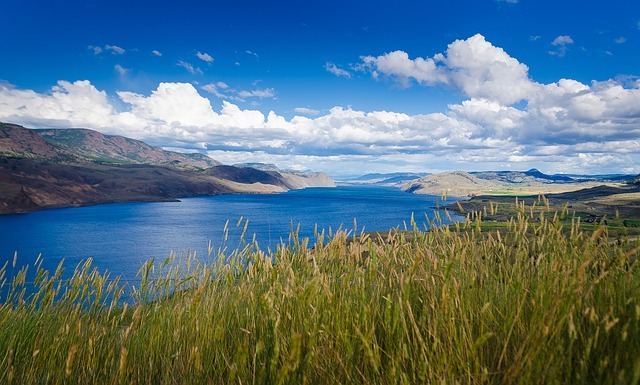 Your destination today is Kamloops, known for its rolling hills, two converging rivers, abundance of parks and a sparkling lake. 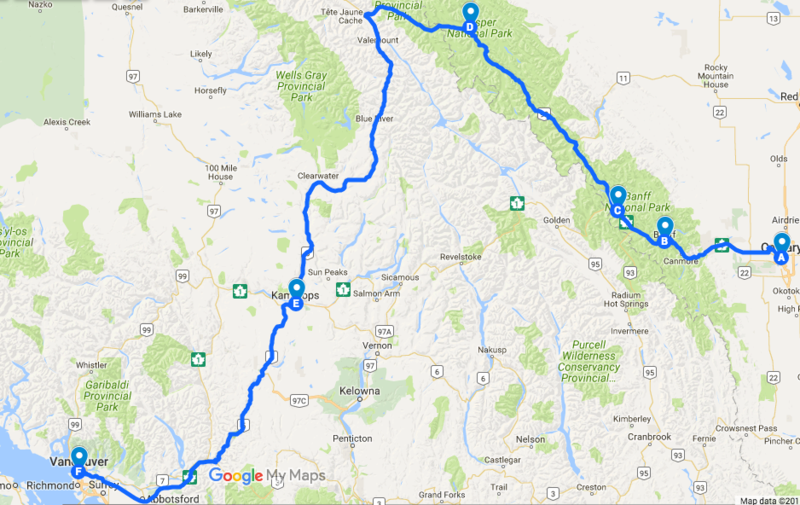 Today travel the fertile Fraser Valley through the Coastal Mountains and into the rugged BC Interior. Your destination today is Vancouver, a vibrant metropolitan city. 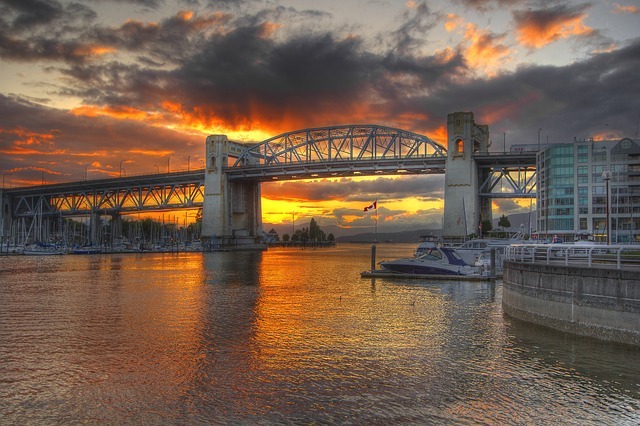 Vancouver is nestled between majestic mountains, sparkling ocean and rainforests. Vancouver is one of the most captivating cities in Canada, with its multicultural fusion and spectacular mountain and ocean setting. A city tour includes Stanley Park, Chinatown, English Bay as well as some prestigious residential areas of Vancouver. Visit Capilano Park and experience the suspension bridge, the tree top adventure and the cliff walk, plus Salish First Nations culture. Tonight enjoy a farewell dinner with new found friends. A transfer is provided to the Vancouver International Airport for your journey home. Experience the most spectacular train journey in the world on board the Rocky Mountaineer from Jasper to Vancouver on day 6 & 7 with an overnight in Kamloops. Available at additional cost. Lake Louise is a hamlet in Alberta, Canada known for its turquoise, glacier-fed lake ringed by high peaks and overlooked by a stately chateau. It offers a tremendous diversity of recreational and sightseeing opportunities. 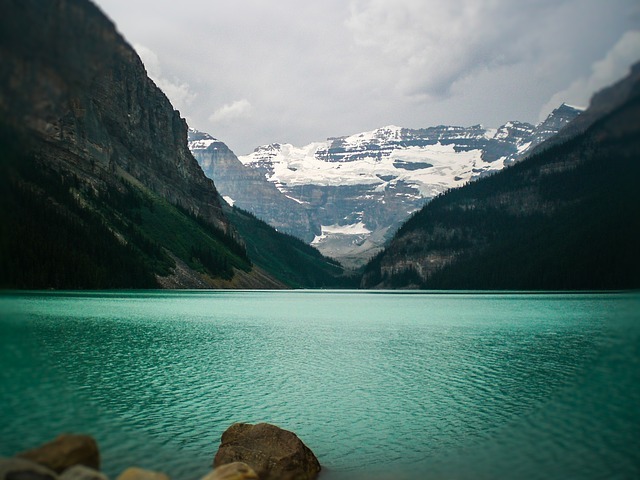 Abounds with magnificent scenery from glaciers to waterfalls, Lake Louise is home to one of North America's finest downhill ski areas, and has numerous hiking and walking trails.